Size: 1 ¼ in. by 1 in. Desc: 14 kt. 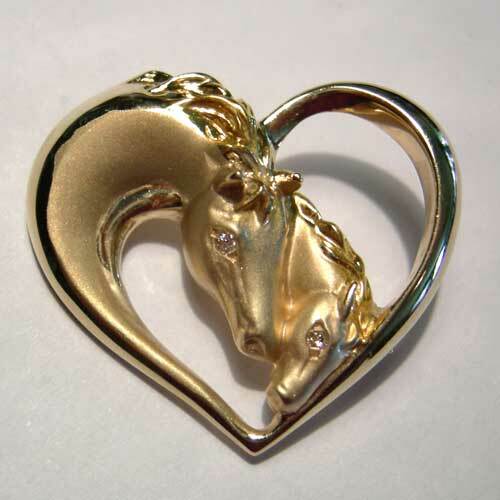 yellow gold brooch/pendant in the shape of a heart with a mare nuzzling her foal in the center. There are diamonds in the eyes of each horse. The gold has three different textures for depth and detail. The pin/pendant weighs 8.57 grams or 5.52 dwt. We have this brooch/pendant in Sterling Silver also, see SK1105.